Born in Montreal, Quebec, and raised in Mississauga, Ontario, Rabbi David Z. Vaisberg earned his Honours B.A. in Psychology from York University in 2006, while at the same time acting and doing construction work for Vanier College Productions and working as Cantorial Soloist and music teacher for Solel Congregation of Mississauga. Rabbi Vaisberg was ordained from Hebrew Union College - Jewish Institute of Religion's New York Campus in May 2012, where he was honoured to be a Mandel Fellow and earned alongside his Masters in Hebrew Letters (MAHL) a Masters in Religious Education (MARE). During his tenure, Rabbi Vaisberg served at Temple Shaaray Tefila of NYC, Congregation Har Tikvah of Brampton Ontario, Congregation Beth Elohim in Brooklyn, B'nai Jeshurun of NYC, and Temple Israel of New Rochelle. As part of his education, Rabbi Vaisberg had several opportunities to travel the world— he led Seders during Passover in Ukraine, and he volunteered in a small village in Senegal while studying economic justice with other rabbinical students from all branches of Judaism. Thank You My Teacher, Thank You My Friend: For Rabbi Lawrence A. Englander, a Festschrift of Insights and Writings (2014). A Study of Sefer YeZirah and Its Commentators (2012). Keep It Together, Keep It Real: A curriculum of Holistic Healthy Living for Teenage Jews (2010). Teaching the Subject of Death to Adolescents in Reform Jewish Supplementary Schools: Proposal for a New Curriculum (2006). Rabbi Vaisberg currently serves as President of the Metuchen Edison Area Interfaith Clergy Association, and Vice President of the Rabbinical Association of Middlesex County. Along with his wife, Miriam Palmer-Sherman, his daughter, Nava Shira, his son, Judah Daniel, and his dog and three cats, Rabbi Vaisberg lives locally in Metuchen. Outside of Temple Emanu-El, you may find Rabbi Vaisberg running, at a yoga class, cooking an elaborate meal, playing guitar, or curling up with a good book. Check out Rabbi Vaisberg's blog at davidvaisberg.com. Rabbi Alfred B. Landsberg served as Rabbi at Temple Emanu-El, Edison, N.J. for thirty eight years. In June 2006 Rabbi Landsberg became Rabbi Emeritus of Temple Emanu-El and we thank him for his many wonderful years of commitment and leadership. 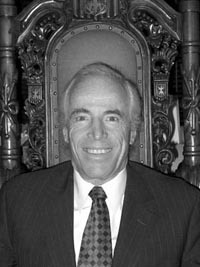 Rabbi Alfred B. Landsberg holds several academic and religious degrees (Artium Baccalaureus, Artium Magister, Bachelor of Hebrew Letters, Master of Hebrew Letters, Doctor of Divinity (honoris causa) -- but truly derives a sense of fulfullment from being married for over fifty years to his beloved wife, Ruth -- and from his wonderful children -- Lori, Adam Debra, and Michael, -- and from his eight grandchildren. Rabbi Landsberg was ordained in 1962, -- served in the United States Army Chaplaincy, -- was Spiritual Leader in Plattsburgh, N.Y. He has served as President of many organizations, -- and as a Member of the Board of numerous others, --- these Organizations dealing with racism, homosexuality, mental retardation, alcoholism, family life curricula, affimative action, adoption of "hard to place" children, planned parenthood, drug abuse, community relations, abortion counseling, homelessness, hospital institutional review board and ethics committees, pastoral education, ecumenical concerns, and HIV-AIDS ministry. Rabbi Landsberg has been quoted as saying: "The many affiliations in which I have served may "look good on paper', but are merely tools to attempt, -- in whatever small fashion I can, -- to leave the world a somewhat better place for my having been there. TIKKUN OLAM, --partnering with whatever God we may worship in order to enhance the world and the lives of those who dwell within it, -- is not simply a slogan to be shouted but, rather, an action to be implemented."